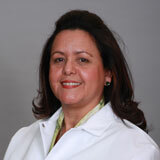 Licet Ordehi, DDS, has been a practicing dentist since 1997. She provides general dentistry services to patients starting at age 10. Her services include exams, fillings, extractions, bone grafting, dental implant restorations, Invisalign clear aligners, Lumineers, veneers, root canal therapy, and teeth whitening. Dr. Ordehi earned her dental degree at New York University College of Dentistry in New York City. Her undergraduate degree is from Universidad Nacional Pedro Henriquez Urena in Santo Domingo. Dr. Ordehi is a member of Florida Dental Association and is fluent in English and Spanish.